We are a full service auto alarm installer. Our auto alarm technicians are well experienced with all of the top auto alarm systems. 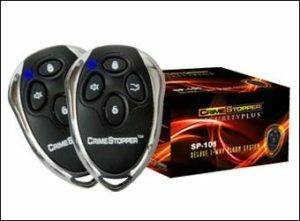 Whether if you are looking to have a new alarm installed or if you want to repair your vehicles current auto security system, we can help! Call or come in for a FREE quote. For a free quote of our automotive security installation you can either call us, email us or visit our installation shop today. We are excited to assist you right now.